The biggest reason I love growing peppers is that they come in and endless variety of colors, sizes, shapes and most of all, flavors. I’m not just talking about how hot (or not) they are, but of distinctively, decidedly unique flavors. I’ve had a lot of fun experimenting over the years, because growing hot peppers, sweet peppers, chili peppers, bell peppers, pimento peppers, banana peppers (you get the idea...) is super easy, doesn’t take much space, and my peppers have never had a problem with pests or diseases. Start Indoors: Sweet peppers: 8-10 weeks before last frost. Hot Peppers: 10-12 weeks before last frost. Shave 2-4 weeks off this time if using a heat mat. Transplant: at least 2 weeks after last frost, after soil is 70-80 degrees and plants are 4-6” tall. Spacing: In beds: 12-18” centers. In rows: 1 1/2' within row, 2’ between rows. Sweets tend to need more space, hots less. Don’t direct seed, start indoors and transplant out. Days to Maturity: 55 to 100 after transplant, depending on variety. Type of Soil: well-composted, well-drained, preferably slightly acidic (6.0-6.5 pH) soil. Nutrition: like tomatoes, minimal nitrogen. At transplant, use a little bone meal and greensand to help rooting and flowering. Harvest: when full-sized but green; or for more sweetness, nutrition and flavor, when ripe and red. Special Info: Slow germinating and slow-growing until very warm. Don’t disturb roots at transplant. 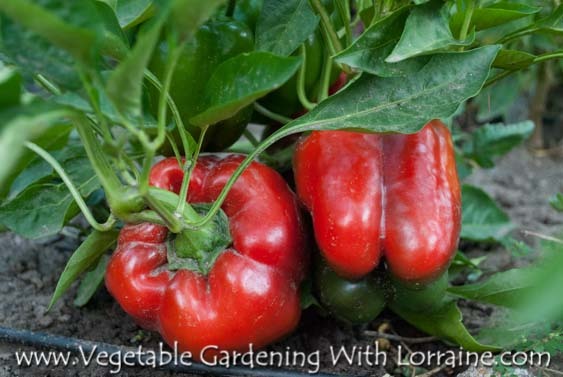 Peppers grow larger and faster when watered consistently. Some blossom drop normal, but any stress (cold weather, too dry, too wet, insufficient nutrients) can increase it. Mulch helps keep fruit off the ground. Cover with Reemay during intense heat to prevent sunscald. 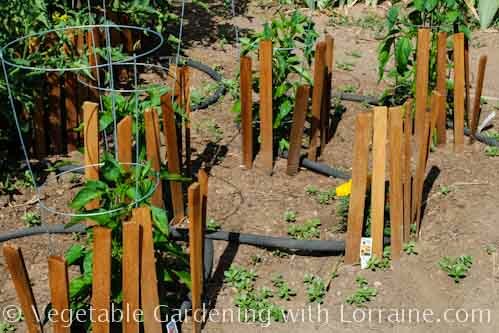 Stake plants to prevent falling over when ripe with fruit. Unless you live in USDA Zone 9 or warmer, you’ll want to start growing peppers indoors under bright fluorescent lights about 8-10 weeks before your last frost date. Peppers are slow germinators (up to 3 weeks) and slow growers, and on top of that they hate being transplanted out into cold soil. So for the earliest harvest, start peppers indoors, and preferably on a heat mat. Because peppers are such slow-growers, any root damage will really set them back, delaying harvest. I start my peppers in individual 4" pots so that they can grow to a decent transplant size without having to be repotted along the way, and so that roots from more than one plant don’t get entangled and become damaged while separating. I do plant 3 seeds ¼” deep in the same hole (insurance against poor germination), but then I cut off the smaller two at ground level when they’ve got two sets of true leaves. Don’t pull them out by the roots or you’ll damage the roots of the survivor. Some people like to use peat pots and just plant the whole pot in the ground because they eventually decompose. But for my taste, peat pots take too long to break down and restrict the free development of roots after transplant. I prefer to use either sturdy reusable plastic pots, or empty toilet paper rolls stood on end in a catbox-type tray. I remove the pot by pushing the plants out of it from the bottom, or peeling off the toilet paper roll when transplanting. The larger and least disturbed the roots, the earlier and larger the harvest. 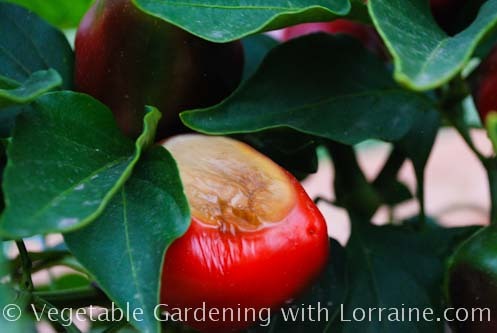 Be sure to harden off your plants by setting them out in a sheltered spot for increasingly longer times each day for a good week before transplanting out. This lets them build stem strength in the breeze and adapt to the intensity of outdoor sun. By the time they get put in the ground they should be ready for a full day of sun and wind. After planting them out, for an extra leg-up you can cover the babies with Reemay or other spun polyester to protect them at first, especially if it’s not yet in the 80s during the day. Even a bit of cold will set back their growth. Just like their siblings the tomatoes, peppers can grow roots along submerged parts of the stem, so plant them deeper in the soil than they were in their containers. You can bury the stem up to their cotyledons, or “seed leaves” (those first two leaflike things that sprout out of the seed). This will make a stronger, healthier plant that will yield more. Peppers like lots of compost, good drainage, and a regular supply of water. Irregular dry/wet conditions will slow growth and delay harvest. Last year we put our beds on a surface irrigation system that watered them a little every other day, and we had prolific yields. After the soil had really warmed up I mulched them with grass clippings, which retained moisture, reduced weeds and added a tiny bit of nitrogen. The most important benefit of mulch is keeping the ripening peppers off the ground, where they would otherwise become slug fodder. Peppers will often get sunscald, or dying patches on the pepper fruits. This is caused by intense heat and direct sun on parts of the pepper for extended periods of time, which can happen loses a leaf, or a pepper outgrows the shade of the leaves above). During the height of summer when fruits are ripening, you can cover the plants with Reemay to prevent sunscald. Where I live where the summers are dry and hot, peppers are not bothered much by diseases. But where there is more humidity, growing peppers that are disease-free can be more challenging. Peppers are susceptible to many of the same diseases as other Solanacea family plants (the nightshades: tomatoes, eggplant, tobacco, potato). For this reason you should consider all these plants as the same when planning crop rotations. To see a photo gallery of some of these pepper diseases visit their board over at Pinterest. Organic controls for pepper diseases are not very effective, and what I usually recommend is just pulling the affected plants and dumpstering them. Always wash hands and preferably change clothes before working again with healthy plants. 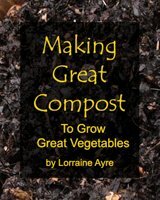 Practice good crop rotation and garden cleanup. Read the article Preventing Plant Diseases. Blossom end rot is not a biological disease, but is caused by irregular watering, which in turn makes it difficult for the plant to absorb calcium. While there is no cure for an affected pepper, you can prevent it from occurring to other peppers by providing consistent, regular watering.